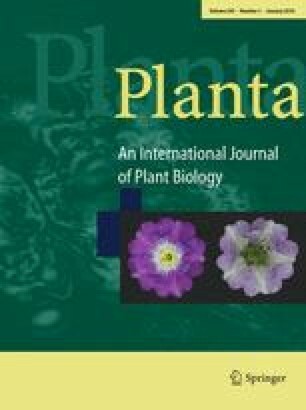 Diurnal changes in carbohydrates and a broad range of primary metabolites were analysed through a diurnal period in potato leaves (Solanum tuberosum cv. Desiree) using an established gas chromatography-mass spectrometry based metabolic profiling protocol alongside conventional spectrophotometric technologies. In tandem, we profiled transcript levels using both a custom array containing approximately 2,500 cDNA clones predominantly representing transcripts involved in primary metabolism and commercially available arrays containing approximately 12,000 cDNA clones that gave coverage of transcript levels over a broader functional range. The levels of many metabolites and transcripts varied during the diurnal period with 56 significant differences observed in the metabolite contents and 832 significant differences recorded in transcript levels. Whilst a large number of the differences would be expected from what has been known previously, several novel changes were observed in these experiments. Notably, qualitative comparison of the combined data sets obtained from the parallel analysis of transcripts and metabolites suggests relatively few changes in gene expression strongly correlate with changes in metabolite levels during a diurnal cycle. Furthermore, these changes appear to be confined to the central metabolic pathways. However, principal component analysis of the metabolic profiles obtained here revealed that metabolite patterns change progressively through a diurnal period suggesting the operation of mechanisms for tight temporal regulation of metabolite composition. We thank Drs Helen Jenner and Natalia Palacios-Rojas for discussion on aspects of secondary metabolism. Equally deep discussion of various aspects of transcript data with Drs Oliver Bläsing and Oliver Thimm is gratefully acknowledged. We are also thankful to Helga Kulka for excellent care of the plants. LJS acknowledges the financial support of the BBSRC, UK. EU-W and ARF acknowledges the financial support of the Max Planck Society.